It took two weeks of MQ rest and assurances that 22 really was the final episode for me to finally give in and watch it. It's one of those things where I figured I'd already made it through the worst, so might as well watch the happy ending unfold. I'm not sure what to say about it (aside from the upcoming rant, that is). I mean, with a show as awful as MQ became, I had very low expectations. But even those managed to be disappointed. All I can say about the final episode - a bunch of bull. An absolute crap-explanation loaded onto the crap-train of angst that composed much of the show, making for a last, cheesy, unrealistic, ridiculous send-off. We get the grand unveiling of President Keg's stupid, SO FAKE plot. It's so convoluted that I literally had to stop my brain for a moment and just pretend that yes, this could happen in reality, sure. It's something I suspected originally, then gave up somewhere in the 20th episode when Keg became an unreasonable jerk. We all probably figured Keg was Jia Hao's sponsor after seeing his round silhouette appear in the marketplace. So this was kinda set up, but mostly not, because even in the name of proving love Keg really didn't need to do the nonsensical stuff that he did, like almost-marrying Chu Man. 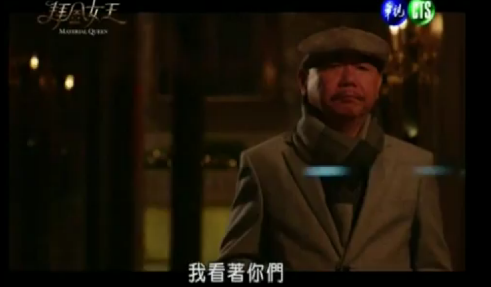 He couldn't have just used his spy skills to a better cause and explained away the misunderstanding to Jia Hao before all this happened? Anyways. 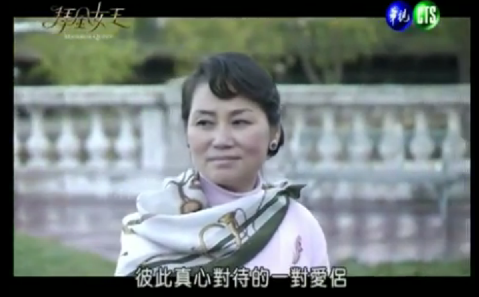 So the plot is basically Keg and his wife went to Paris before she died, and she happened to see Chu Man and Jia Hao acting all lovey dovey. She thought it was so sweet that she wrote a note that Keg read after her death stating how touching it all was and how it was them reincarnated and all sorts of exaggerated sweet talk. 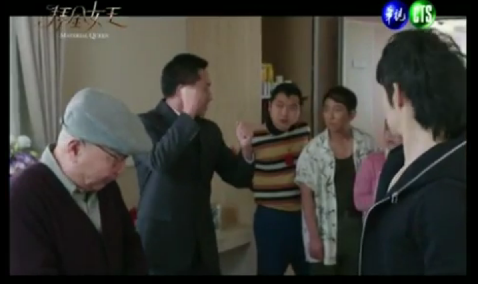 So he decides to play the young couple's stalker (perhaps to dull the pain of his wife's death) and watched the misunderstanding and drama unfold, in serious secret agent style. They even paired special agent music to these scenes. It reminded me of the grand twist unveiling in Liar Game, only of course this was pure junk and came off more like a lame parody. It's just SO RIDICULOUS. We're meant to believe that somehow, Chu Man remembers the random woman who gave her back her card in this 2-second Paris scene. I don't even remember, and I certainly haven't gone 2 years since that scene. So how the hell would anyone remember some random stranger? Maybe cause the woman was Asian? 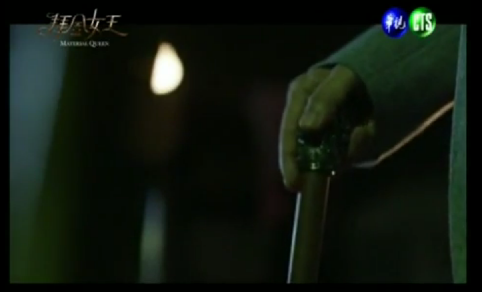 Then, of all the things that trigger Jia Hao's memory of Keg as his patron, it's not his obvious round head or hat (which should've clued him in from the beginning), it's the dog-headed cane, which he somehow saw clearly in the dark, through Keg's hand, when he couldn't even see Keg's head clearly. And as for all the drama in episode 21, apparently it was all a play put on by Keg, with his infinite wealth and spare time. I have no words for how disgusted I am at this poor excuse for a plot twist. At least the angst and drama of 21 was semi-realistic. This, however, completely undermines the whole series, bringing it down to a level of falsity and cheesiness that leaves me unable to maintain even a semblance of respect for the story. At least the Peter part of the ending was kinda funny. Now all I want is to quickly forget this trash excuse of a drama. Awww our cute couple. Now if only I cared. I started watching Material Queen today and stumbled across your blog while looking for reviews. Needless to say, I think I'll be ditching this drama after seeing so many rants over the nosedive the plot takes halfway through. I also wanted to mention that I really enjoy your reviews! I've just spent a good chunk of time reading a whole bunch of your old posts. Well written and opinionated without sounding too pretentious or over fangirly. Subscribed! @ninofan - Awesome to hear you're enjoying the reviews, and thanks for the subscribe! I'll be working to get some more posts up soon!